The Forest Peoples Land Rights Network (LandNet) was officially launched in April 2013. LandNet is a participatory, bottom-up network originating from the grassroots network of farmers from Towards Ethnic Women. LandNet members are comprised of minority farmers living in upland areas, local commune and district leaders, as well as NGOs, technical experts, development researchers and interested individuals. LandNet’s activities follow the principles of equality, volunteerism, democracy, cooperation and unification. 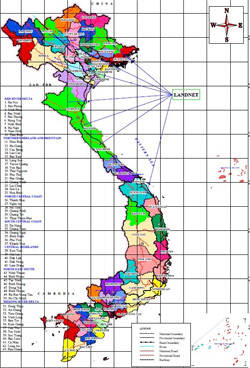 LandNet advocates for the land rights of forest peoples in Vietnam and the Mekong region. LandNet protects rights to use and control over land and forest for ethnic minority communities, respecting cultural values, legal laws and unity among ethnics. LandNet joins initiatives for community sustainability and development. It consults at national and local level to improve policies on rights for access, usage and management of land and forestry. Its advice respects local experience and customary values and enhances roles of the women and youth in human resources and sustainable socio-economic development. LandNet shares information and community issues primarily through the online public forum. Through this activity, members have updated information and experiences for policies, market intelligence, action plan measures to satisfy their demand. Members of LandNet have discussions for suitable solutions to their problems. CIRUM advises and connects among LandNet and with potential stakeholders & partners. In the future, LandNet will be independently run by themselves.